BridgeCreek-a truly spectacular estate on over seven acres, threaded by a flowing creek. This award-winning home was meticulously crafted over two years time and offers the finest custom details available in the Telluride region including expansive, arched hand-hewn timbers, reclaimed antique chestnut floors, a gourmet kitchen with sitting area & fireplace, family entertaining area, outdoor fireplace, numerous guest suites, a hot tub overlooking the creek, and a guest apartment. Situated on two knoll top lots, including a stocked trout pond, and borders over 40 acres of Open Space. 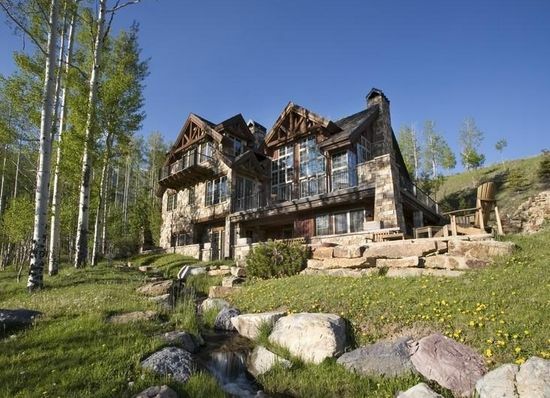 Located less than five minutes to the Town of Telluride.